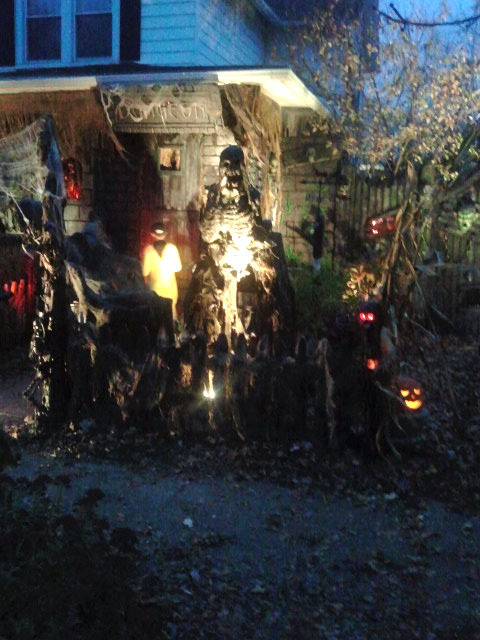 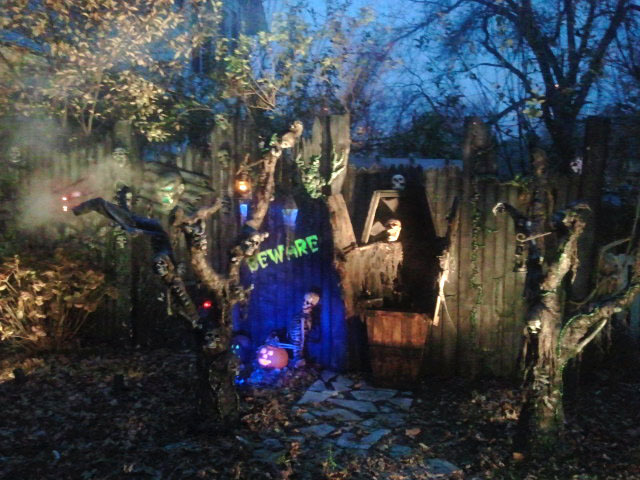 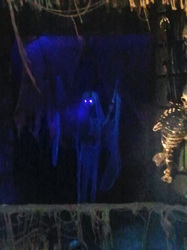 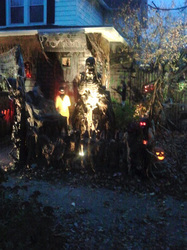 Uncle Binley's is a yard display that is only open one day per Halloween season - the 31st. 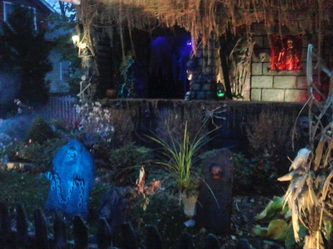 On that day, Uncle Binley transforms the entire front of his house into an animated Halloween wonderland, much like Disney's Haunted Mansion. 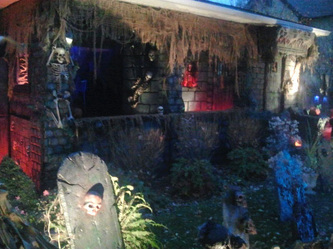 The displays include an animated ghost on the front porch (see photo at right) and various coffins and tombstones in the front yard. 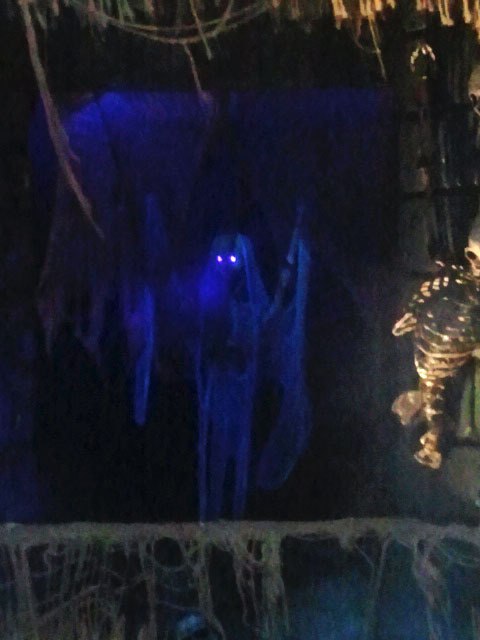 Uncle Binley himself shows up, dressed for the occasion, observing the unwary mortals who wander into his domain. Although only open one day, it is will worth a trip, particularly when combined with othe haunts in the Frankfort area.